IP finance: Juries and IP damages: a random and unsettling factor? Juries and IP damages: a random and unsettling factor? 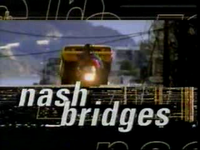 In "Don Johnson profit payout doubled to $51.2m", the BBC reported last week on the decision of a Los Angeles court to increase -- by a factor of rather more than two -- the quantum of damages awarded to actor Don Johnson for his contribution as intellectual originator and actor in all 122 episodes of US police TV drama Nash Bridges. The original award, a paltry $23.2, was ordered after jurors confirmed Johnson's claim that he owned 50% of the show's copyright. The defendants are reportedly going to appeal. "According to a sworn declaration by trial juror Jason Scardamalia, the panel originally decided to give Johnson $15 million. However, the majority of the jurors agreed with one panel member's suggestion that Johnson deserved interest because he had not had access to the money for many years, Scardamalia said". "I disagreed and said that I did not know why we were calculating interest," Scardamalia stated. After pondering an additional 10 percent interest, 11 of the 12 jurors finally settled on adding an annual 5 percent to the $15 million from 2001 - the year the show ended - until 2010, Scardamalia stated". The notion of leaving either the construction of contract terms or the calculation of an award of damages to a jury is alien to most other jurisdictions. Interpreting a contract is not so serious, since the range of options available to a jury is relatively close to the sort of things a trained judge might come up with. However, the assessment of damages in US IP litigation appears to have a degree of randomness to it which, this writer respectfully suggests, must surely make it more difficult for the parties to assess best- and worst-case scenarios when considering whether and, if so, how, to settle without recourse to a court decision.